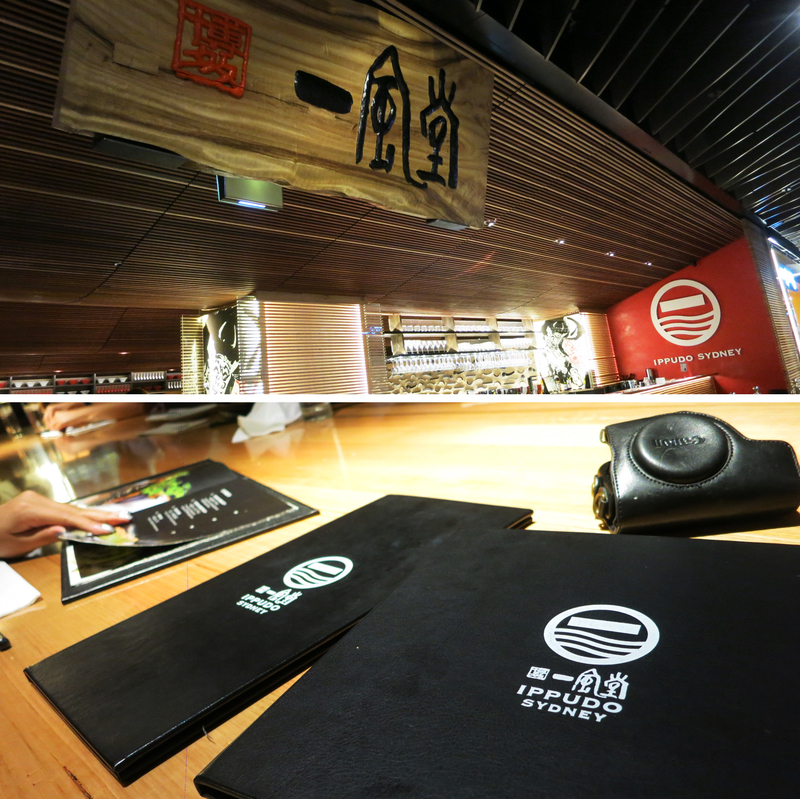 Ippudo has become incredibly popular lately – everybody has been checking into this place! Tram and I were planning to drop by Sportsgirl and thought that we should drop by Ippudo for dinner as well! Prancing in, like most Jap places, we were greeted by the usual greetings. The restaurant was rowed with wooden tables and stools, cozy, with a light shining down on each table ( a.k.a perfect lighting for photos :p). Trammie skimmed through the menus, she ate here previously on two occasions so she made all the suggestions. Being named after the bun, I only expected that this restaurant would create godly Ippudos! There were two varieties of Ippudo here – Pork belly and deep-fried shrimp. We were meaning to try the shrimp one afterwards, but were too full (dangit)! Nails from Sportsgirl, inspired by Millenium ☺. Deliciously braised pork in heavenly sauces, a bit of kewpie and a small leaf of lettuce. This was super tasty! 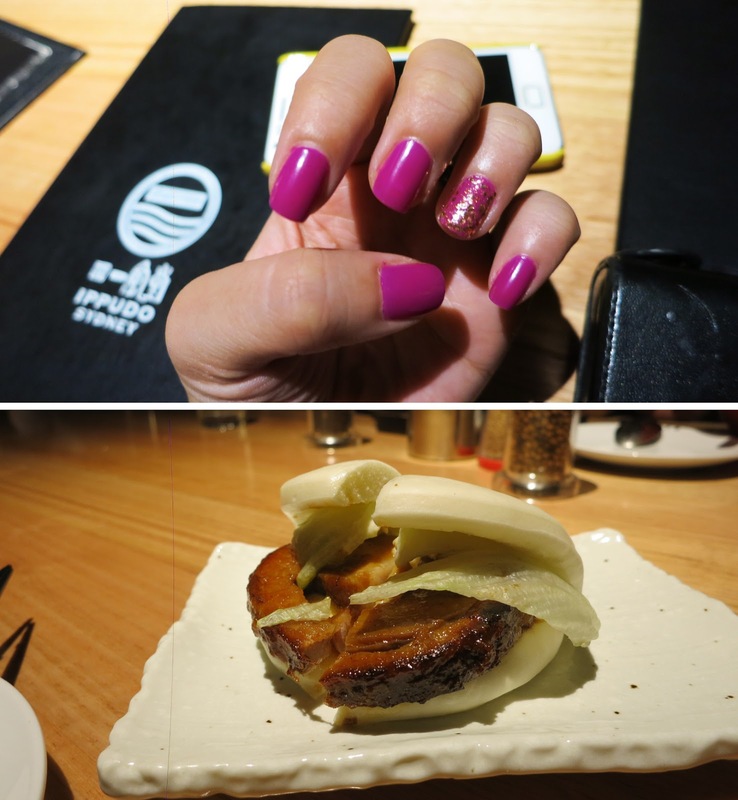 The steamed bun has the perfect amount of density for it and the pork belly absolutely melts in your mouth. I wish I could have a plate full just to eat for myself. But that would be naughty. Grilled eel is always beautiful from Japanese restaurants, so it was a no-brainer when we ordered this. As always, it had beautiful texture with great sauce to pair, mixing it with the rice! This is the same pork belly used in the ippudo, except, chopped into pieces with rice! Also sprinkled with shredded lettuce and seaweed. Perfect meat to rice ratio! I shortly got bored of this though, this can pass :p.
This came with an orange sauce on side to pour over the ribs, which made no difference at all. This had a beautiful glaze over them, too bad it only came in three pieces! It felt so disappointingly scarce of meat, so I couldn’t fully appreciate it’s flavours, but the sauce used tasted similar to that of the Pork Belly in the Ippudo bun! Good eats and a place everyone has to go for at least once! The flavours are heavy but portions were way too small for it’s price. I don’t think I would come here again though – on the hunt for Ippudos elsewhere! Hahaha, it's nothing like you've ever tasted before right? Here, there's Banh Mi Boys – and they have an array of Ippudo buns! I haven't tried it yet though, I'm yet to!!! Love the look of the buns! you have an awesome blog cover picture! !